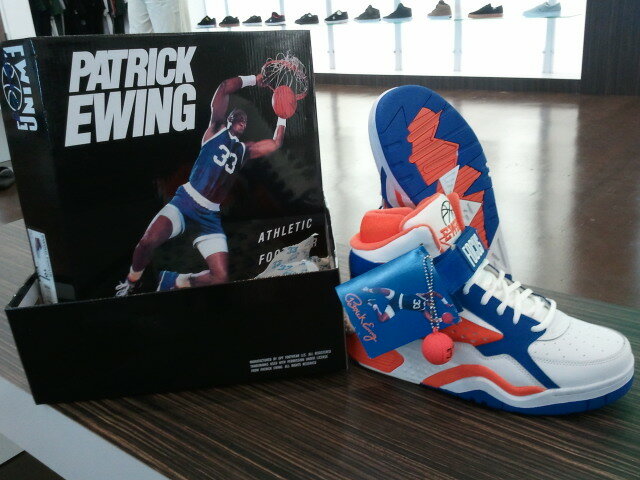 A LEGEND REBORN, PATRICK EWING 33 RELEASE. COME GET YOUR OWN PAIR SIZE AND QUANTITY LIMITED. ONLY 11 SHOPS IN THE WESTCOAST HAVE RECEIVED THE KNICKS / CHICAGO LAUNCH. JUST YOUR LUCK YOUR VERY OWN LOCAL RETAIL "PRIVATE" HAS THEM IN STOCK.